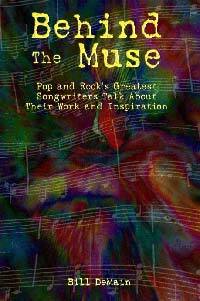 An interview with Tori Amos is featured in the new book "Behind The Muse: Pop and Rock's Greatest Songwriters Talk About Their Work and Inspiration" by Bill DeMain. In addition to the interview with Tori, conducted in 1993, the book features interviews with over 40 successful and respected songwriters (including Sarah McLachlan, Matthew Sweet, Billy Joel, Sheryl Crow, David Byrne, and others). More details on the book, and ordering information, can be found at the website of the publisher, Tiny Ripple Books. The book can also be ordered through the amazon.com and Barnes & Noble websites.